Those with a stronger response will be more likely to have stubborn acne that has limited responses to commercial products. These cases usually require a skin specialist (dermatologist) to treat it medically. People with eczema, asthma, psoriasis and rosacea (to name a few) are known to have a hypersensitive triple response. Now that you understand what causes a pimple, you should also know that those sebaceous glands found on your skin are also found in your eyelid and are slightly modified to secrete oils for the eye’s surface. 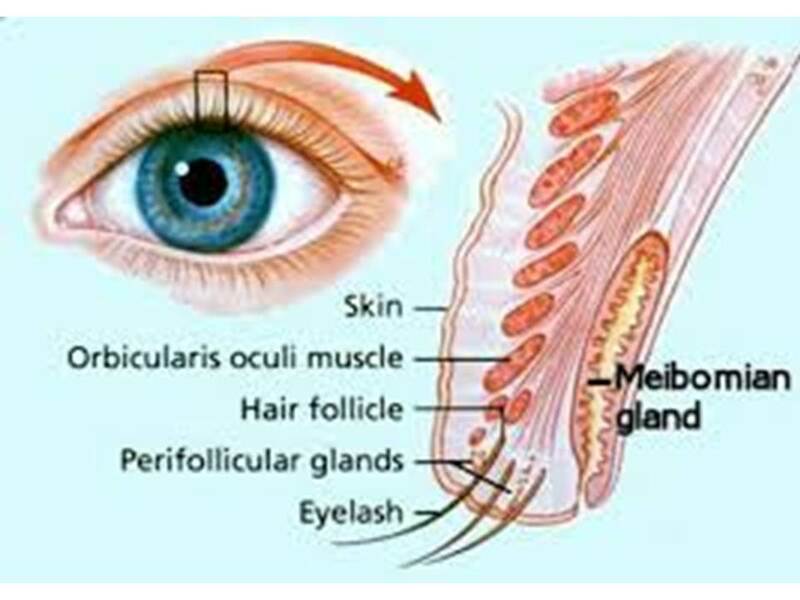 Each eyelid contains 20-40 of these glands and have a very specialized function. These glands are called meibomian glands and react the same way the pores on your skin react to debris, dirt, bacteria and general trauma. What’s different about this area of the body however is that your eyelid is constantly moving and wiping away environmental debris from the ocular surface. If you are a contact lens wearer, then it is also rubbing the plastic of the contact as well causing friction on the inner eyelid. Considering what we know about trauma and what it does to our glands, imagine that this microtrauma happens every time you blink, every time you apply make up, every time you wear a contact lens and every time your eye is exposed to environmental debris. That is pretty much every minute of every day! The average human blinks seven to ten thousand times a day and for those people that have a heightened inflammatory response are more susceptible to the meibomian glands becoming obstructed which can lead to an eyelid pimple otherwise known as a stye. These styes can get very large if untreated and become chalazion or an eyelid cyst which can in some cases require surgery. Interestingly, a stye only happens when the blockage has gotten large enough to become visible to the human eye. The blockage usually starts long before it becomes visible externally. Unfortunately though, these meibomian glands are few and once blocked or inflamed can quickly become dysfunctional and die off. The eyelid surface is uniquely situated close to the eyelash follicles. Naturally occurring bacteria often accumulate in high numbers in this area due to built up dead skin, makeup and environmental debris. This surface cannot be cleaned by commercial products with the precision required without causing harm to the eye (cleanser in the eye, removal pads can abrade the cornea, etc.). Also the inner eyelid tissue known as the wiper is too sensitive to touch or use retail cleaning agents on without causing pain and or damage. Basically this tissue is never really cleaned and these glands are under constant burden. Your eyelid glands are just like your skin glands and need clinical attention to keep them functional and prevent meibomian gland dysfunction which causes up to 86% of dry eye disease patients. In many cases it is a preventable condition, but only recently has clinical periocular hygiene emerged as a new effective maintenance treatment. Using special dyes and instruments, the eyelid surface and glands can be treated comfortably in your eye doctor’s office. New advances in this area allow even the most hardened blockages to be melted using prescribed heat and pressure simultaneously (LipiFlow thermal pulsation) in non-surgical painless procedure. Bumps on your eyelid are exactly the same as pimples on your face, however the consequence of not treating it or preventing it are potentially vision threatening. 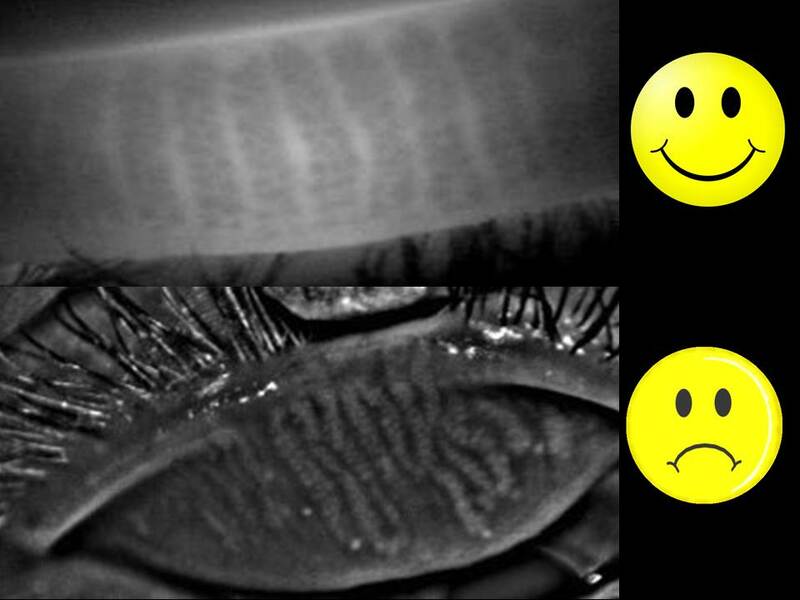 If left untreated eventual gland death can occur decreasing the stability and vitality of your tearfilm. This puts the entire surface of the eye at risk for infection, chronic inflammation and even scarring of the conjunctiva or cornea. Experts from around the world have now recognized meibomian gland dysfunction as being perhaps the most pervasive cause of dry eye disease around the planet. These tiny delicate pores have a huge impact on our visual health. Talk to your eye doctor about your glands and be proactive. Having dedicated my career to the ocular surface and spending the last 2 years specifically developing treatments in this area, my advice is: don’t let the symptoms start!